Gold and palace, these two words say it all! 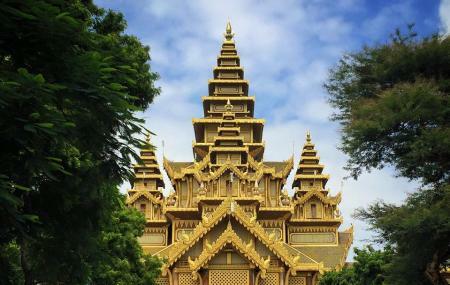 Burmese landmarks are grand and extravagant and the Bagan Golden Palace is no exception. This one has everything. Great historical significance, well preserved culture, sparkling gold domes and also some calmness. Even though tourists flock here in huge number, still you will not feel it. The silence which the place offers is perfect to pause for a little and meditate to cleanse your soul. How popular is Bagan Golden Palace? People normally club together Htilominlo Pahto and Nat Hlaung Kyaung while planning their visit to Bagan Golden Palace.